The extremely successful standard model of particle physics has an unfortunate limitation: the current version is only able to explain about 15 percent of the matter found in the universe. 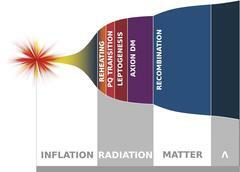 Although it describes and categorises all the known fundamental particles and interactions, it does so only for the type of matter we are familiar with. However, astrophysical observations suggest that the mysterious dark matter is more than five times as common. An international team of theoretical physicists has now come up with an extension to the standard model which could not only explain dark matter but at the same time solve five major problems faced by particle physics at one stroke. Guillermo Ballesteros, from the University of Paris-Saclay, and his colleagues are presenting their SMASH model (“Standard Model Axion Seesaw Higgs portal inflation” model) in the journal Physical Review Letters. 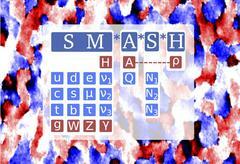 “SMASH was actually developed from the bottom up,” explains DESY’s Andreas Ringwald, who co-authored the study. “We started off with the standard model and only added as few new concepts as were necessary in order to answer the unresolved issues.” To do this, the scientists combined various different existing theoretical approaches and came up with a simple, uniform model. 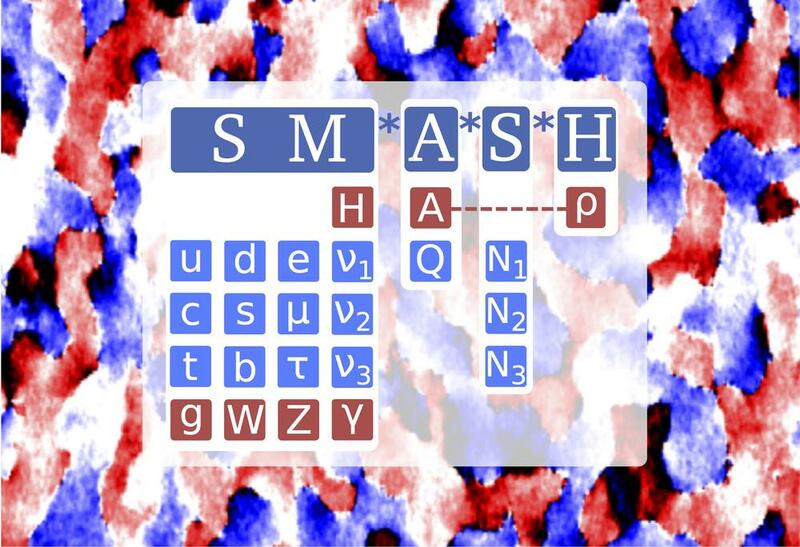 SMASH adds a total of six new particles to the standard model: three heavy, right-handed neutrinos and an additional quark, as well as a so-called axion and the heavy rho (ρ) particle. The latter two form a new field which extends throughout the entire universe. Using these extensions, the scientists were able to solve five problems: the axion is a candidate for dark matter, which astrophysical observations suggest is five times more ubiquitous than the matter we are familiar with, which is described by the standard model. The heavy neutrinos explain the mass of the already known, very light neutrinos; and the rho interacts with the Higgs boson to produce so-called cosmic inflation, a period during which the entire young universe suddenly expanded by a factor of at least one hundred septillion for hitherto unknown reasons. In addition, SMASH provides explanations as to why our universe contains so much more matter than antimatter, even though equal amounts must have been created during the big bang, and it reveals why no violation of so-called CP symmetry is observed in the strong force, one of the fundamental interactions. “Overall, the resulting description of the history of the universe is complete and consistent, from the period of inflation to the present day. And unlike many older models, the individual important values can be calculated to a high level of precision, for example the time at which the universe starts heating up again after inflation,” emphasises Ringwald. Being able to calculate these values with such precision means that SMASH could potentially be tested experimentally within the next ten years. “The good thing about SMASH is that the theory is falsifiable. For example, it contains very precise predictions of certain features of the so-called cosmic microwave background. Future experiments that measure this radiation with even greater precision could therefore soon rule out SMASH – or else confirm its predictions,” explains Ringwald. A further test of the model is the search for axions. Here too, the model is able to make accurate predictions, and if axions do indeed account for the bulk of dark matter in the universe, then SMASH requires them to have a mass of 50 to 200 micro-electronvolts, in the units conventionally used in particle physics. 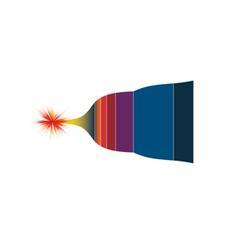 Experiments that examine dark matter more precisely could soon test this prediction too. Javier Redondo from the University of Saragossa in Spain and Carlos Tamarit from the University of Durham in England were also involved in the study.